Authentic food from the Pacific, in a relaxed atmosphere and tropical setting. 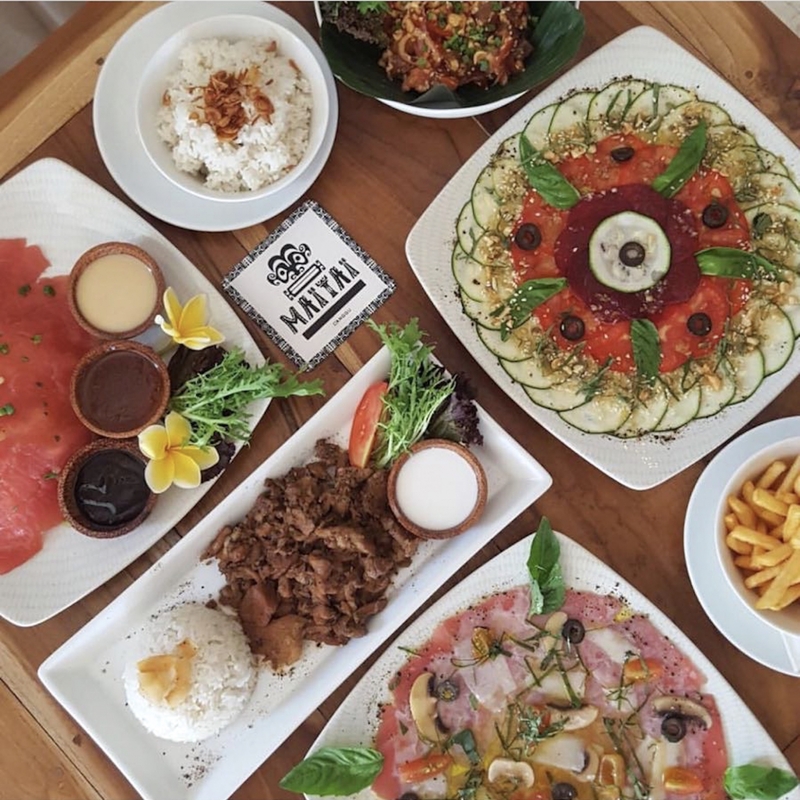 Mai Tai Canggu was founded by three friends who are proud to be bringing you the authentic flavors of Polynesia directly from the Pacific to Bali. The trio behind Mai Tai includes Damien who lived in Tahiti for more than 20 years and acquired a passion for fishing and cooking whilst living there. They carefully select the freshest catch of the day locally, to satisfy all your fish cravings. Polynesian cuisine is not well known around the world, but as soon as you’ll try, we promise you will be hooked. The menu is composed mostly of raw fish, prepared in many different ways. Some of our favorites are the carpaccios, the Ahi Poke, and one of the signature dishes; the raw tuna marinated in coconut milk and lime. Mai Tai does also offer a few cooked variations as well for people not so fond of raw fish, such as fish and chips or Tuna in the wok. For the meat lovers, don’t worry as there are a number of dishes to satisfy your cravings too! And for our Vegan friends a variety of colorful and healthy vegetable carpaccios are also available. As for desserts, why not indulge in a unique Tahitian dessert (you won’t find these ones anywhere else in Bali), homemade bounty balls, or some of the guilt free treats such as the chia parfait or the Mango mousse. Drink selection includes healthy juices and smoothies, as well as Local Kombucha, and all the coffee options are available. Mai Tai also has a nice selection of French wines, and their exquisite homemade punch will transport you to a beautiful Tahitian beach.